Lenovo's CEO said Thursday that he expects the market will gradually move away from entertainment-focused tablets in favor for convertible PCs, which he said can strike a balance between the functions of touch-based tablets and the productivity of a laptop. 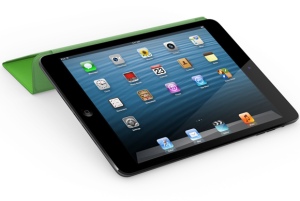 During the quarter, Apple also saw its tablet market share dropto 50.4 percent, according to research firm IDC. But Apple's iPad sales are expected to pick up with the release of the iPad Mini and the fourth-generation iPad, IDC added. But at least in the short-term, PC convertibles are expected to be priced higher than tablets, according to analysts. Lenovo's IdeaPad Yoga 13 starts at $999.